Cesar Corrales photographed by Nathan Sayers for Pointe. This is Pointe's October/November 2017 Cover Story. You can subscribe to the magazine here, or click here to purchase this issue. 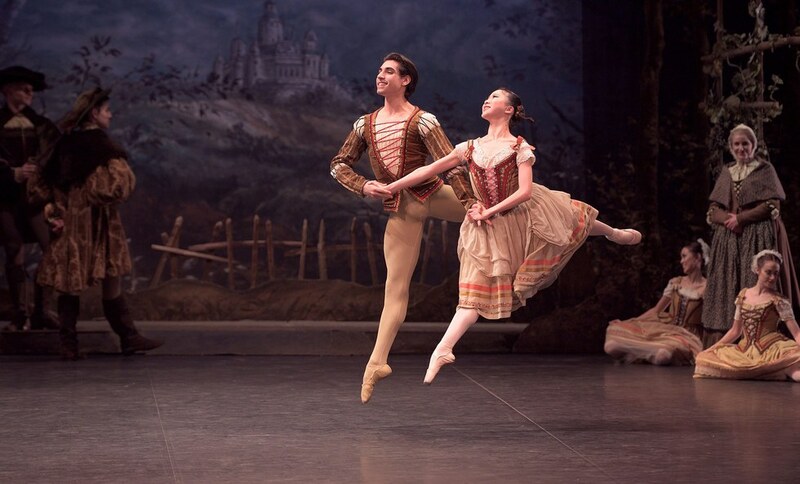 At just 20 years old, Cesar Corrales has skyrocketed to principal at English National Ballet. 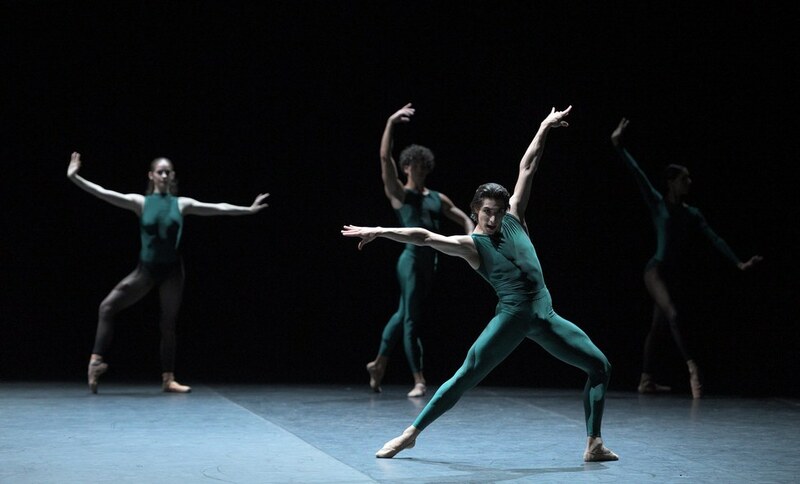 English National Ballet was midway through a precise but polite performance of William Forsythe's In the middle, somewhat elevated last spring when Cesar Corrales burst into view. The 20-year-old principal turned his solo, a minor one in Forsythe's ballet, into a blaze of technical power and audacious phrasing. The tension at London's Sadler's Wells ratcheted up several notches, and his colleagues joined in his contagious energy. It wasn't the first time Corrales had raised the stakes on stage. In three short seasons with English National Ballet, he has gone from promising virtuoso to one of the British companies' most vital members. Even among the outstanding crop of men hired by artistic director and principal dancer Tamara Rojo, Corrales' feline technique and generous presence have stood out in ballets including Le Corsaire and Akram Khan's Giselle. There is more than raw talent to his rise, however. The son of two former dancers with the Cuban National Ballet, Corrales has a solid head on his shoulders, and planned his career accordingly. When offers from companies started pouring in three years ago, he jotted down his goals on paper with his mother. "I was looking for a place where I was going to be given opportunities to do soloist roles while also having good coaching," he says seriously. ENB, reinvigorated by Rojo with a top-notch artistic team, including Russian star Irek Mukhamedov, was just the right springboard. Corrales as Hilaron in Akron Khan's "Giselle". Photo by Laurent Liotardo, Courtesy English National Ballet. Corrales was raised in Canada, where his father, Jesus Corrales, was a principal with the Royal Winnipeg Ballet and Montreal's Les Grands Ballets Canadiens. His parents took him to classes and rehearsals, and Corrales was soon imitating them. "There are videos of me, at one year old, dancing and trying to turn," he giggles. "It even creeps me out!" The young boy was also a precocious stage performer: after a turn in a ballet production of Madama Butterfly, where he confidently offered a correction, age 4, to the great Canadian ballerina Evelyn Hart, he landed a small part alongside Jennifer Lopez in the film Shall We Dance. As a child, he enrolled in gymnastics and soccer, but only danced at home for fun. "I was doing double tours and manèges without training, just improvising," he says. When he was around 11, his parents, concerned about potential injuries, gently let him know that the time to train had come if he wanted to pursue that path. He spent a year at Canada's National Ballet School and was set to stay until an audition for a new production of the ballet-themed musical Billy Elliot in Chicago came up. Corrales made it through the cattle call and several rounds to be selected as one of three Billys, and performed the demanding leading role twice a week for nearly a year, earning a spot on Pointe's Standout Performances list in 2010. Above all, he relished the performance time the musical offered. "It gives you that confidence of being at home onstage and doing technical things. You start improving onstage, and that moment is like a miracle." Since Billy Elliot only offered two to three ballet classes a week, Corrales started training with his parents, who taught a mix of Cuban and international styles, to keep up. When he left the musical, the arrangement lasted. "I saw how fast I was improving with them," he explains. "They knew my body so well, and what I was capable of." Corrales followed his mother, Taina Morales, who worked as a guest teacher, from Montreal to Norway. He remembers having to get up at dawn to take class before companies started their day: "The fact that it wasn't easy to have a studio every day was very good for me mentally. I didn't look at it as something that was going to be there waiting for me." That individual drive eventually earned him a Prix de Lausanne and a spot in American Ballet Theatre's Studio Company. Corrales' original goal was to join ABT; he was offered a corps spot after six months, just before winning the 2014 Youth America Grand Prix, but ultimately decided against it. "I knew at ABT, it took five or six years for someone to do a soloist role. It didn't matter how talented you are." After his YAGP win, ENB associate director Loipa Araújo, who had trained Corrales' parents in Cuba, showed his videos to Rojo. She came back with the offer he had hoped for: a corps position with the chance to do soloist roles. Corrales in William Forsythe's "In the middle, somewhat elevated." Photo by Laurent Liotardo, Courtesy English National Ballet. He joined in 2014, and while adjusting to British life and to dancing in the corps proved a challenge, Rojo kept her word: one of Corrales' first assignments was the Swan Lake pas de trois on opening night in London. "The talent was obvious," says ballet master Mukhamedov, who coaches Corrales in the classical repertoire. "He can jump, he can turn—he can do everything." In 2016, Corrales leapt into the headlines as Ali in Le Corsaire, now a signature role: reviews singled out his preternatural confidence and technical chutzpah. His director, Rojo, was his Medora in London – a vote of confidence in a dancer who had limited partnering experience up until he joined ENB. "The first time I lifted her, I thought: if I drop her, I wonder what's the worst that can happen," he says with a hearty laugh. He credits Rojo and ENB prima Alina Cojocaru with helping him grow in the studio: "Alina is another legend. Those moments, you savor." 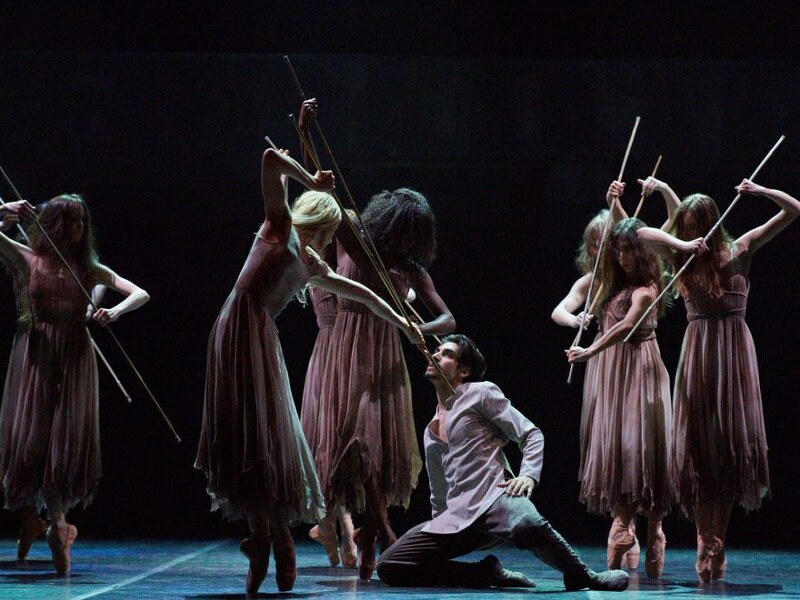 For Mukhamedov, Corrales' biggest star turn came last year with Khan's Giselle, a new contemporary production in which he created the role of Hilarion: "He was absolutely incredible: cheeky, cunning, strong, powerful. I realized he can offer different emotions, use different body language." Corrales relished bringing ideas to the process. "Akram was very open to seeing what you were capable of. I would come up to him with movement which he would later put in in his own way." Corrales with Rina Kanehara in "Giselle." Photo by Laurent Liotardo, Courtesy English National Ballet. Albrecht in the classical Giselle followed shortly afterwards, and in July, Corrales was appointed ENB's youngest principal while on tour in Japan. "It has felt very quick," he admits with a smile. Aside from the classical repertoire, his dreams now include working with Forsythe, who is set to return to ENB in 2018; he wouldn't say no to another musical, either. "My goal is to be a complete dancer. I don't want to be known just as a dancer who turns and jumps: I want to be romantic and noble, too." In the meantime, Corrales has found his rhythm in London: His girlfriend Katja Khaniukova is a junior soloist with ENB, and they share their life with a daschund, Tito. Free time is reserved for watching hockey and soccer, as well as family visits to Canada and Cuba. The new principal is eager to guest with other companies, but he finds excitement in the time ENB, historically a touring ensemble, spends on the road—and in Rojo's vision. "I think I'm getting exactly what I need at this point in my life. ENB now is a company that is on the rise." And Corrales with it, as a frontman.